Traditions are a lot like heirlooms. Both probably have come to us through our families. Some you love you can’t imagine life without them. Some you’re stuck with you don’t know what to do with them. Holidays are bountiful with traditions. But what may be tradition to you, may be remote to the next person, depending on country and region. Takes years to form these lovely habits which then evoke feelings which connect us to something bigger, something we feel we are apart. It is what makes you feel a sense of belonging to a family bigger than you can ever gauge. It is hard to put in words, but you sense it. Tradition also takes the guess work out of planning for special moments. In a sense, it is already planned for you… if you have? Traditions! And really, it has already stood the test of time, trial and error, so it must be the best option, right? It is debatable… Some believe that customs are barriers to evolution, we don’t really change until we break the tradition and finally evolve to something different and even more enhanced than what we were already doing. Regardless of the philosophical take on traditions they sometimes and mostly just “feel good” around Christmas and New Year’s. As we are well familiar with our own traditions, check out what goes down in Greece this time of year. 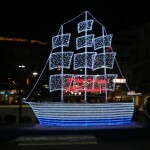 While people across the world are decorating their Christmas trees, many Greeks opt for the Greek tradition of decorating a small ship. Greece was always a maritime country and, in the past, the majority of men worked as fishermen or sea men. For many centuries, Greeks have been decorating small wooden boats in order to express their gratitude for the safe return of their loved ones who were travelling at sea for the rest of the year. 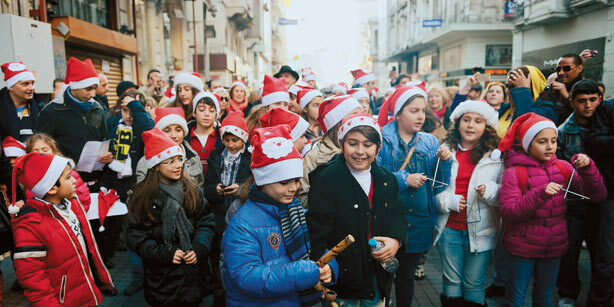 Furthermore, carols or kalanda are a main part of the Greek Christmas holiday season. On the eves of Christmas, New Year and Epiphany, children dust off their triangles, guitars and harmonicas, and rush through the streets, going from door to door, asking home owners “Shall we sing?” If the owners agree, then the children will sing the kalanda and receive some money in return. In the past, people would give out sweets and pastries but the tradition has changed over the years. Maybe this year, adding some Greek kalanda to the festive songs playlist is something to consider. 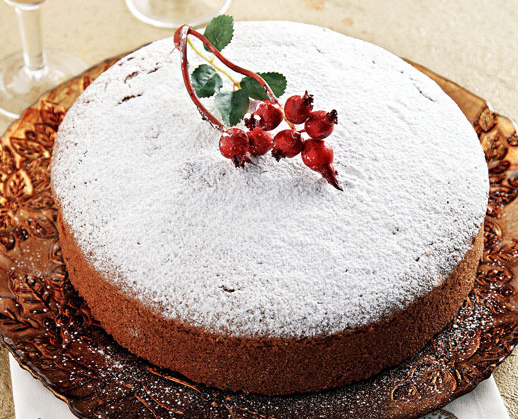 On New Year’s Eve, Greeks have the tradition of cutting the Vasilopita a cake which contains a hidden coin, at midnight, in order to bless the house and bring good luck for the New Year. People around the table receive one piece of cake each by order of age, from eldest to youngest. The person that finds the coin receives a gift, usually a good luck charm. Furthermore, Greek housewives hang a pomegranate above their doors at the beginning of the twelve days of Christmas. On the midnight of New Year’s Eve, all the house lights are turned off and one person that is considered lucky takes the pomegranate and smashes it on the floor in order to reveal its seeds as a sign of welcoming the New Year. Pomegranates are considered a lucky fruit in Greece and symbolize fertility. OPA! To Traditions and the New Year! Flying Olive Farms and Vrisi36 are wishing you all the best in 2015! And don’t forget to carry on with those traditions! 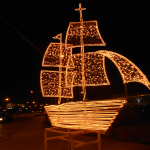 This entry was posted in Uncategorized and tagged Greek Christmas, Greek New Year, Greek Traditions, kalanda. Bookmark the permalink.